I had the privilege of working with Lisa Overton of Big Pink to build out a redesign for Bosenberg & Co. landscape architects. 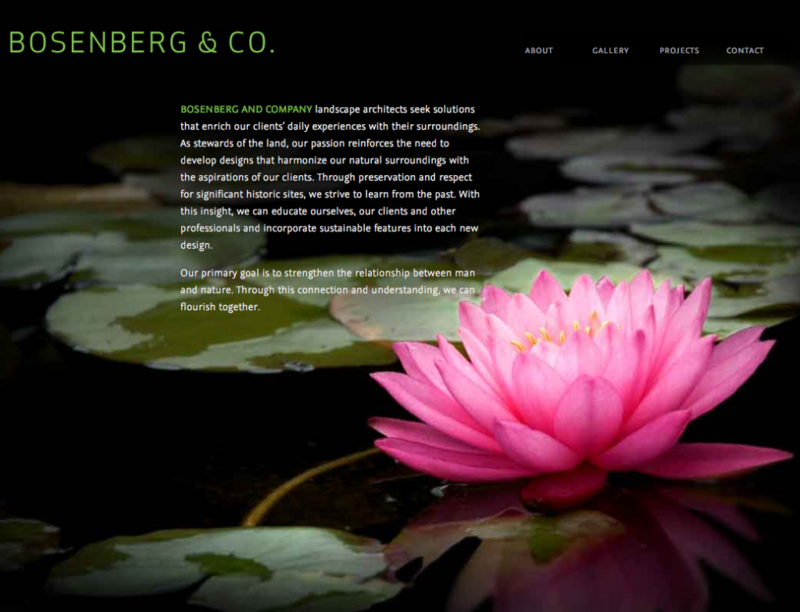 The previous Bosenberg site used lots of Flash and had a very fixed interface that limited the site’s usefulness and flexibility. The re-designed site focuses more on the content and the company’s portfolio. We’ve also added a user portfolio where potential customers can collect various project samples, save them for later, or email them.